Body As A Box. Within the boxes, within an age, within a number, are the formula of living. "Making Room In My Head For the Mystery" is an adventure, that occurs solely in a time of exploration of what one calls the wilderness of our instinctual nature, that now claims its right to have a room in the mind. This is totally a reclamation of territory that we were once familiar with, but has been hidden and not allowed to occupy space in the intellectual arena of thought and decision-making. It is considered foreign, but is actually the kernel seed essence of what the mind orginated from. 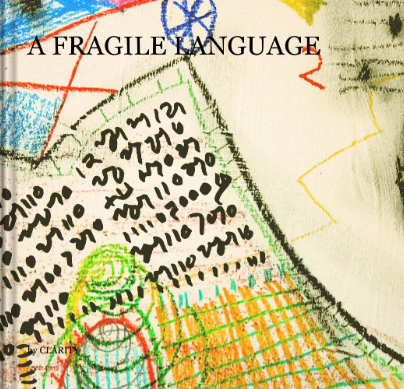 A Fragile Language: "The language of childhood advances through our life, and we feel every letter and note of its syllables, words, impressions, resonances, and abbreviations. We place the comfort of giving time to this language in the far recesses of our daily life."